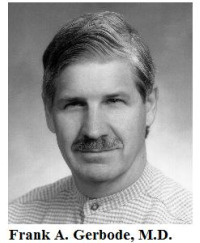 Synopsis of a talk given in 1989 at the Institute for Research in Metapsychology in Palo Alto, California. After arriving at the title, “Why Applied Metapsychology?”, and having spent some time wrestling with this talk, I came up for air, and I thought, “Who thought of that title, anyway?” I look at the title, and I am tempted to say, simply, “Why indeed?” or “Why not?” and sit down. Then I realize that it was I who came up with the title, so I can’t get away so easily. I guess shall have to give a talk after all, and you will have to bear with me, because I’m afraid I am going to exercise my prerogative as a keynote speaker and wax very theoretical and pompous. I find myself in a strange position, now, with warring impulses. On the one hand, we have a group of people here who, together, have evolved a workable and elegant method for helping others that we who use Applied Metapsychology call “facilitation”. I would like to devote this lecture to instilling in you who number among that group a sense of pride in your accomplishments – which are considerable – and to encourage you to go out and spread the word and not hide your light under a bushel. But others in the audience, as well as others of you who may hear a recording of this talk are not familiar with Applied Metapsychology. You have your own systems by which you operate, and to glorify our system at the expense of others would seem impolite at best and probably terribly arrogant. On the other hand, because of the non-metapsychologists I find myself talking to, I would like to promote the fact that we have much to learn from others, and to adopt a more modest viewpoint altogether, as befits a relative newcomer to the field of personal enhancement. I hope I will be able to find a common ground that won’t offend anyone but that might still stand a chance of being enlightening. I would like to start off by letting you know what a delight it is to be in the same room with a group of people like you. Most of you, I believe, are now, or have been, practitioners who have worked very hard, and very successfully, to help others. You have found a way of helping others of which you can feel reasonably certain. More wonderful yet, you can get together and share your varying ideas and techniques. Is there any higher profession than that of working directly with another person to help that person achieve happiness? And is there any better feeling than that of being successful in that work? Not that I have found. But there was a time, in my past experience, when that feeling was a pretty rare commodity. During my psychiatric training I was exposed to many different theories and approaches and opinions. My patients seemed to improve, but it was a slow and uncertain process and, truthfully, I was “shooting from the hip”. I liked to think that I was “listening with the third ear” [Listening not only to what is said, but to what is implied by the speaker’s words, body language, demeanor, etc.] 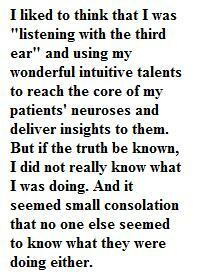 and using my wonderful intuitive talents to reach the core of my patients’ neuroses and deliver insights to them. But if the truth be known, I did not really know what I was doing. And it seemed small consolation that no one else seemed to know what they were doing either. I would present the same patient to two or three clinical supervisors and get two or three completely different diagnoses and prescriptions for treatment. I had naively thought that there had to be a body of knowledge, an agreed-upon set of principles and methodologies that formed the basis of standard psychiatric practice. Instead, I found I had to play it by ear and hope for the best. Now I find myself surrounded by people who know what they are doing and love doing it, who do have an agreed upon set of principles and methodologies and who are applying these methodologies successfully toward the betterment of others. I feel my original dream – the one went into psychiatry to fulfill – is well on its way to being realized, for me and for you. We have all had to go through a great deal to have moved as far along the road as we have. Each of us could tell a moving story of insights achieved, triumphs, and magnificent defeats, and I won’t impose on you by telling you mine. One of the things I have learned, as I am sure you have, is that dreams can and do come true, but that you have to do something to make them come true. You have to take responsibility and get into action toward making them happen. And that, of course, is what all of you have been doing and why we have made the progress we have made so far. During the time we have been working on our own evolution, society has been undergoing a radical change – one that presents both difficulties and opportunities. Thirty years ago, when the thought first entered into my head of becoming a psychiatrist; if you wanted to help someone, there were a limited number of approaches you could take. Apart from drug treatments, you were pretty much restricted to doing some kind of psychoanalysis. Gestalt therapy, client-centered therapy, and alternative techniques were all in their infancy, and, outside of the conventional schools of psychoanalysis, there seemed precious little else to choose from. I was so benighted [ignorant; unenlightened] myself that I thought I had to become an M.D., a psychiatrist, in order to help people to improve the quality of their lives. I’m sure there were others much more enlightened than I, but I probably represented a national average of some kind. Now the picture is quite different. The conventional practices have greatly increased in number, now including behavior therapy, cognitive therapy, systems-oriented therapies, and many others. And alternative practices have been appearing in ever-increasing numbers: many different kinds of body work, holotropic therapy, Focusing, hypnotherapy past life therapies, and many others. Each of these practices has its own lexicon and its own theoretical structure and rationale. There are different ways of handling this information overload. One way is what I choose to call the “True Believer” approach. One looks around, latches onto the first thing that appeals, and immerses oneself within the confines of that practice, that belief system, perhaps also decrying all others as false paths. One can confidently settle into, say, NLP [Neurolinguistic Programming], and dedicate oneself to that work, thereby attaining a consistency of viewpoint at the price of excluding many other viewpoints and methods. If one feels one has attained the one True Path, one can comfortably avoid agonizing decisions. The “True Believer” approach contains a strange mixture of arrogance and self invalidation. On the one hand, one feels one is wiser than others who have not discovered the true path. On the other, one does not really trust oneself to judge the truth or falsity of beliefs, and is afraid of being overwhelmed by other systems, so one avoids them. A second approach is the eclectic approach. An eclectic regards the vast field of different methods as a smorgasbord from which he can pick and choose those tidbits that seem the most appealing to him, without committing himself to any particular ideology. Because of this lack of commitment, a person can make decisions relatively easily, like choosing items off a menu. In the absence of a rationale for choosing, which would require the existence of an ideological system, it becomes largely a matter of taste and preference. One searches different practices to find some tricks or tools that one can use to cope with this situation or that, but these tricks have no more rationale than that they seem to work, sometimes. I speak from experience, here, because I have tried both approaches. As a psychiatrist, I employed the eclectic approach. I enjoyed the free and safe feeling that I could use any “tricks” and be as creative or as innovative as I wanted to, without anyone being able to come up with a reason why it might be wrong. It was a nice “power trip”, in a way. But on the other hand, I really wondered how much I was accomplishing or, when I did manage to accomplish something, how I had done it. So I don’t really feel that the answer to the world’s problems is yet another New Age theory and methodology to add to the confusion. 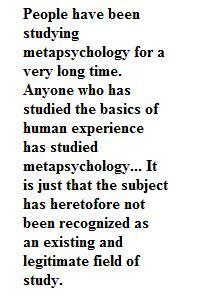 And that brings me around to the topic of Applied Metapsychology and what we are trying to accomplish with it. Sooner or later, it is necessary to come up with a theory that can reconcile and align the vast array of different methods and explain why and how they work. Whatever the specifics of that discipline may be, that is what I call “metapsychology”. It is a study that attempts to describe the fundamental truths about human nature that underlies the various psychologies and practices. This is the sense in which Freud first used the term in 1896. It was to be a study of that which underlies psychology – a way of understanding the functioning of the psyche at its deepest level. Out of this study comes the actual practice and use of the subject, applied to relieving trauma, promoting personal growth, and assisting people to reach their potential, and that is “Applied Metapsychology”. The next step was to try to express these ideas as clearly as possible, carefully defining terms as I went along. Eventually, I arrived at a set of elementary ideas and observations, expressed in unambiguous language. I kept driving myself and others crazy by asking questions, like, “What shall we call an incident that is traumatic because it contains a reminder of an earlier traumatic incident, but does not contain anything inherently traumatic in itself?”, “What shall we call the condition in which two people share the same thought or experience but don’t necessarily agree on its truthfulness?”, or “What is the referent of a sentence about something that doesn’t exist?” These are questions that perhaps only an ex-philosophy student like myself would trouble himself with, but they turned out to be vital to the understanding and expression of truths all people seem to agree on, but haven’t necessarily ever talked about. The outcome of these seemingly endless ponderings, introspections, discussions, and arguments is Applied Metapsychology based in the creation of a lexicon of terms to describe the universals of human experience, and a theory of how human experience is constructed. It describes some of the qualities, abilities, disabilities and experiences that people have in common, as experienced by them. This lexicon can be used as a “meta-language”, and the theory can be used as a “meta-theory” to explain and relate different practices to each other. A meta-language is a language that can be used to describe another language. Normally, the ultimate meta-language is a natural language, like English or German. Such languages come closer to describing common human experience than do specialized languages like mathematical language or various technical jargons. Up to the present, English (or other natural languages) have represented the best means of communicating common human experience. The ultimate meta-language would be a language that would describe the simplest elements of human experience as it is experienced by individual people. Even a natural language can be improved on, in this respect, in that ambiguities and fuzziness can be eliminated and we can use words in such a way that we can tell exactly what experience is being referred to. This is the type of language we are trying to arrive at in Applied Metapsychology. The study of Applied Metapsychology is the study of individual experience and ability, as viewed and exercised by the individual person. It is a profoundly person-centered approach, one that always looks from the inside out, never from the outside in, as is done in most branches of psychology. It is a study of the fundamental components of a person’s world and how the person assembles these components into a world – or a life – that is most satisfactory for him or her. Using this set of ideas and principles, we can understand, utilize, and correlate different helping practices, such as those we will have the pleasure of having presented today and tomorrow by our distinguished guests, Dr. Hazel Denning of the Institute for Past Life Research and Therapies and Dr. Ann Weiser, who is the regional coordinator of the network of people who practice Focusing. Without either lapsing into eclecticism or falling into the stance of a “True Believer”, we can appreciate their work and share with them our own ideas, using the commonality of our humanity to make a bridge for us. This is not to say that we do not have any belief system and methodology of our own. We most assuredly do, one that I feel is extremely useful as a way of understanding life and as a basis for helping others. But Applied Metapsychology, as the study of experience, stands out from any particular belief system as a generic field of study, like history, physics, or mathematics. The subject matter just happens to be human experience and human nature, as seen from the inside looking out. Our specific views will undoubtedly change over time. Although we feel that we already have a system that works well, it will undoubtedly continue to evolve and change over the years, as it becomes a more and more accurate account of experience and human nature. People have been studying metapsychology for a very long time. Anyone who has studied the basics of human experience has studied metapsychology. There are, and have been, many different metapsychological theories. It is just that the subject has heretofore not been recognized as an existing and legitimate field of study. Now it is time that we recognize that we are all students and teachers of the same discipline, that that discipline exists and is worthy of a name. It is time for us to come together and make some agreements on terminology so that we can talk to each other more effectively, so that the current Tower of Babel in conventional and alternative practices can be overcome with a lingua franca [common language], the terms of which correspond to universally-recognized elements of human experience. What are the practical benefits of having a precise theory and lexicon of human experience? The first benefit is that there is a possibility of having a means of helping others that can be easily taught. Because metapsychology deals with what is common in human experience, it is by its nature exoteric, rather than esoteric. Everyone should be able to understand the terms used in Applied Metapsychology, because everybody has had the experiences that those terms describe. There is no reference to things – like the id and the superego or states of being like Samadhi and Nirvana – that few, if any, have ever actually experienced directly. Instead, we speak of things like mental images, feelings, intentions, and concepts. A theory that deals directly with the elements of human experience ought to be one that is easily applied to human experience, and so it proves to be. Many simple, straightforward helping techniques have grown out of this theory. It is possible to teach these techniques in a fairly short period of time: weeks or months, instead of years. They can be used either professionally or with friends and relatives. Since the techniques are very straightforward and simple, they do not require any particularly personal “wonderfulness” on the part of the facilitator, other than a genuine desire to help, so anyone of good will can use them. This answers a crying need, because, in truth, there will never be enough professional counselors or therapists to meet the needs of a world of billions, all of whom are striving for happiness. Something that people can learn and use with each other is, I believe, the wave of the future and one to which Applied Metapsychology lends itself well. The existence of a common discipline allows for a growth of data. As Kuhn discovered, a science is born when there is widespread agreement on a particular paradigm, however imperfect that paradigm might be. A paradigm that lies very close to human experience would be widely acceptable and could form the basis for a new science. In fact, the existence of the paradigm that we are currently following has allowed us to communicate with each other and refine our techniques considerably. That process of communication and refinement is ongoing, and it is now entering a phase in which we can effectively share with other types of practitioners. Paralleling the split between conventional and alternative practices is a more fundamental ideological split in our society, between the physical sciences and spiritual disciplines. From the materialist viewpoint, Humankind is basically matter, and any understanding of humans will be ultimately obtained via the physical sciences or some extension thereof. Quantitative reasoning and standards of objective “proof” figure prominently in this approach. Materialists scorn the idea that a human being is a spiritual being. In place of the spirit, they can offer only “appropriate behavior”. On the other side of this dichotomy, we have the many spiritual or quasi-spiritual practices, which embrace the notion of humankind as essentially spiritual beings. Spiritualists tend to deny the validity of logical, rational thinking as being something that gets in the way of spiritual advancement. If one declares oneself for the materialists, one tends to engage in conventional therapies and in chemical or behavioral manipulations in order to produce “appropriate behavior”. If one declares oneself for the spiritualists, one tends to engage in alternative therapies, to adhere to a spiritual belief system, and – too often – to distrust and play down the role of logic and reasoning, in favor of pure intuition. Applied Metapsychology, because of its experiential base, can undercut both viewpoints. It does not require a person to believe in either a materialist or a spiritualist hypothesis. Therefore its practice is accessible for anyone. You don’t have to join anything or believe anything you don’t already believe. 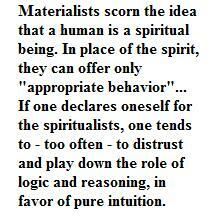 A materialist is not forced to accept spiritual concepts, nor is a spiritualist required to accept material ones. What have we been doing about all this? First of all, we have been working very hard to produce written materials, both theoretical and practical, that can be used to train people in the Applied Metapsychological practice we call “facilitation” as described in my book, Beyond Psychology: An Introduction to Metapsychology. Many of you have suggested improvements that now make it a better book. We also have a number if training manuals that contain virtually all the basic techniques contained in the current state of the art of facilitation. Apart from this, I have written articles for the International Association of Alternative Therapies and for the International Conference on Paranormal Research that have been or will be published, and we are scheduled to do workshops in local colleges. Others have been doing interesting things with the subject as well: Workshops have been conducted in France and in Belgium for mental health professionals. And in Switzerland, one practitioner has been taking in hopeless cases from a local mental hospital and working with them, with dramatic results, using nothing more than Applied Metapsychology techniques, exercise, and good nutrition. We have, as an ongoing activity, the gathering of data about what is working and mapping out with greater precision the Curriculum that a person would follow en route to self-realization. To this end, we are holding the first of what will be a series of Technical Symposia after this conference, in which experienced practitioners will be sharing ideas so as to arrive at better ways of practicing. Eventually I expect that we will be able to put together some research studies that meet academic standards that will provide objective proof of the effectiveness of our methods. Equally important to proving the effectiveness of our techniques is to continue to discover what is effective. Research studies are methods of proof, rather than discovery, and, at the moment, I find the discovery more interesting. I am very much looking forward to the day – in the near future – when the efforts of so many brilliant people who have studied humanity at such great depth, can all become aligned toward a common effort to create human betterment on a broad scale. I believe that such a thing is possible, even likely, and that it will result in an era of human well-being and fulfillment that will be truly worthy of the new millennium.